Queen Bee | Life with two little ones. Here is what you get when you try to make muffins while your 13-month old is rummaging around in the cupboard. ** But ** my receipt currently shows a net of $17.30 because the cashier rang my $5 of $30 as a $5 taxable item instead of a $5 coupon. I need to get back tonight and get my $10 back. This net includes one $4 item that I had no coupon for and one $5.49 item that I only had a $1 coupon for. But we really needed them. If I had not gotten them, my net would have been an overage of a $1.84! The CVS matchup can be found here. Starting 12/20/09 Thermacare Heat Wraps will be $2.49 with a $2.49 ECB. Grab a coupon here for $1 making it a $1 overage. I was able to print 5… and the limit for the ECB offer is 5. This will get you $12.45 closer to the $30 for your $5 off coupon. One way to get CVS coupons is to take their online quizes. There is one here about Medicare. There are only 3 questions. You don’t have to get the questions right. Take the quiz and you can print a $5 off your next $30 purchase. (Thanks MakingPurrfectSense). Next week at CVS Nivea Body Wash Will be $5.99 with a $5 ECB. There is a $2 coupon at coupons.com, head over there and print now before they run out. With the coupon you will have a $1 overage. And you will be $5.99 closer to making your purchase of $30 to use your $5 coupon. (Thanks Coupon Cravings). I did my CVS shopping trip today while my son was hanging out with some extended family. I knew they were going to be running errands, but it was still funny to be able to sneak up on them at CVS and ‘spy’ for a while. They were letting Sam press buttons on holiday singing/dancing figures. Good times. I paid 56 cents for all this! What made the trip so great was the fact that I took a survey last night comparing the CVS ad with the Walgreens ad and they sent me a $10 ECB. I am counting that as a coupon in this formula, since I used it like one. I had a $2.00 baby wipe coupon print from the price checker machine last trip, so I paired it with a $0.50 manufacture coupon to get the wipes down to a great price ($3.40 before coupons). The razers were $4.99, I used a $2 coupon and got a $4 ECB back, so they netted a $0.99 overage. By the way, this trip my out-of-pocket was 65 cents. ECBs don’t usually get applied to tax charges, but today it worked. My total before taxes was negative $1.05, taxes $1.70. MyFrugalAdventures has a great deal on Tinkerbell and the Lost Treasure plus any Tinkerbell Tag book or game from Leapfrog. When you buy one of each you can submit for a $5 rebate. Since I have already bought both the Blu Ray movie (for $10) and the Leapfrog book (for $5.99) I am so excited that I can submit for a $5 refund! That means I will have paid $10.99 total for both items. Here is the weekly Walgreens ad. I think the kid toothbrushes are the best deal this week. Here is the weekly Rite Aid matchup. Here is the Target matchup. And here is the CVS matchup. I saw the CVS coupon books she talks about sitting on the counter in the perfume section. It is to the right just inside the front door at the Hwy 18 location. Don’t bother grabbing more than one book. You can only use on $4 ECB coupon per CVS card. Happy Birthday my little boy. You are three years old today. You are so smart, kind and handsome. You are getting quite talkative little man. You ask so many questions. You love to find out how and why things work the way they do. You are trying so very hard to figure out why it is light outside sometimes and dark other times. You love to dance and sing. It is so cute how you sing 4 songs all mixed together at once. You love your little sister and I know that you will do a great job of protecting her. He has a bandaid on his chin. He helped make his own birthday cake. He loves to help in the kitchen. 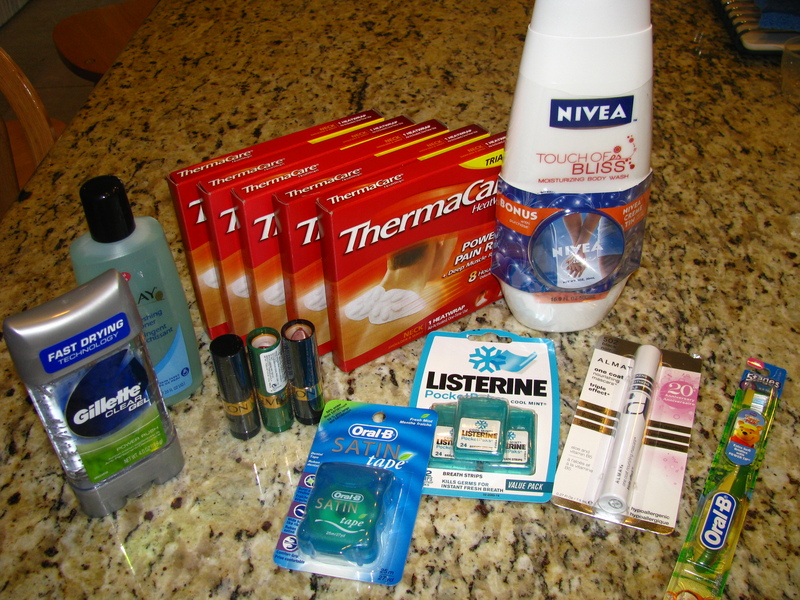 I made it to CVS during their 3-Day sale to get the free after ECB deals. 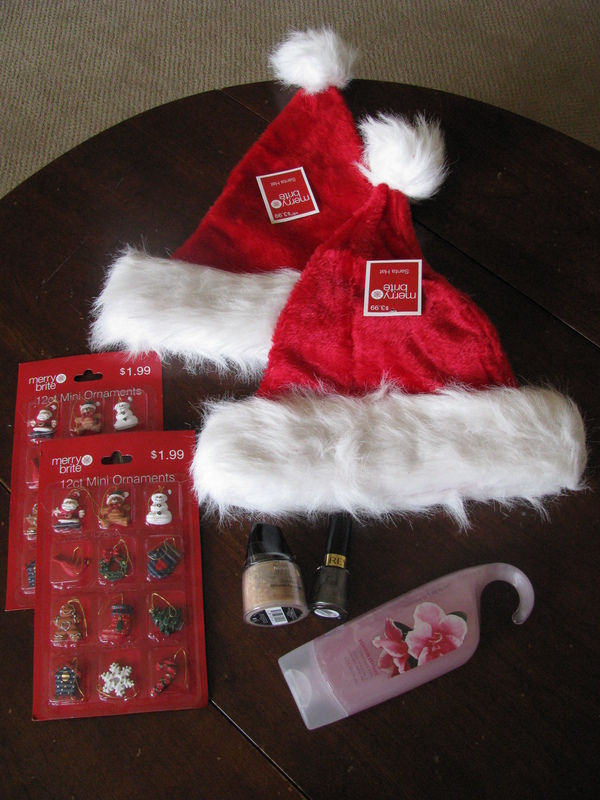 Had I known the body was limit 2 I would have grabbed a second one instead of getting two Santa hats. I was trying to get my purchase over $30 to use a $5 off $30 coupon. I also had a $2 off $10 CVS product coupon print at the price scanner. 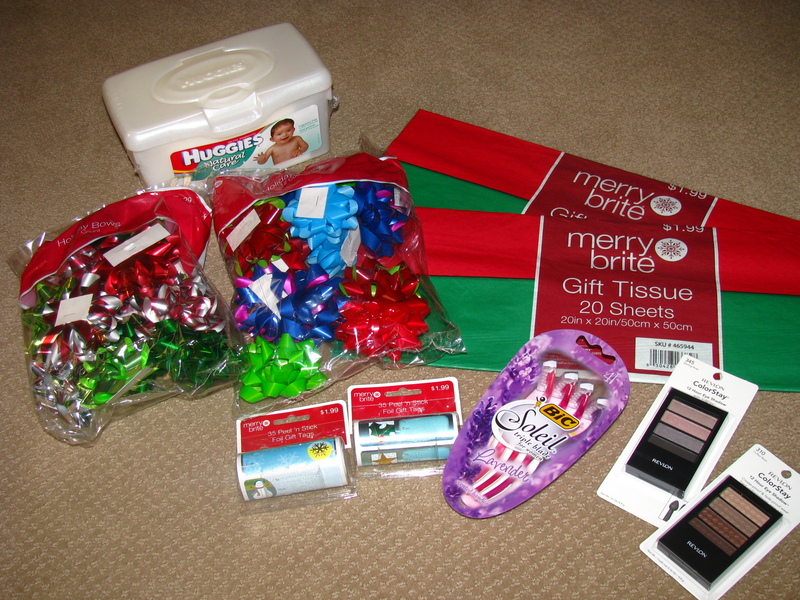 The Christmas items are CVS brand, score! They would not take one of my $2 off coupons for the finger nail polish (which they have in the past). And my son made sure I donated $1 to St Jude by pressing buttons on the credit card payment machine as he was pushed past it. So my net could have been $4.94. Oh well. The makeup powder alone is a $13.00 item and that is the main thing I needed. So I still did well. Here is the Walgreens matchup. I don’t see anything too exciting. Here is the CVS matchup. I have some ECBs that are expiring this week so I am glad to see there are a few things that are free after ECBs so I call roll them. Also, pullups are a decent price and I need another pack, so might as well use ECBs on them instead of cash.